The Sultanate of Oman is in the Middle East, borders the United Arab Emirates in the northwest. Oman offers pristine reefs, stunning deserts, rugged mountain landscapes, green oases, endless beaches and friendly people. Unlike many other places with decent diving - Oman is not over run with tourists/divers, and you are very likely to end up on a gorgeous coral reef with no one else around. The Arabian Sea and Gulf of Oman provide large coral reefs in the deep fjords of Musandam (Gulf of Oman), at Daymaniyat Islands off the coast of Muscat and Hallaniyat Islands off the coast of Mirbat in southern Oman (Arabian Sea) as well as untouched and undiscovered reefs and wrecks. This is probably the top place to dive in Oman. The Islands are located northwest of Muscat, the capital city and are definitely the most popular dive sites in the country. This string of small, rocky islands are encircled with awesome coral reefs down to 30 metres and tons of fish. Coral reefs cover up to 70% of the dive sites seabed with more than 100 different species of soft and hard coral of which no less than 10% are unique to Oman’s waters. Marine life is abundant with 280 different species of fish, varying from sting rays, turtles, moray eels, leopard sharks whale shark. Green sea turtles & hawksbill turtles are common residents of the Daymaniyat Islands. Bottlenose dolphins, spinner dolphins and sometimes humpback whales can be encountered. The islands are a nature reserve and an important turtle nesting site as well as a sanctuary for migrating birds. Diving is possible all year around, with the best time for diving in this area is from late May to early October. As sometimes in February, March & April the seas can be a bit sporty, less confortable. Bandar Khayran is the area of the coastline southeast of Muscat, with more than 30 dive sites are located within a series of coves and bays. 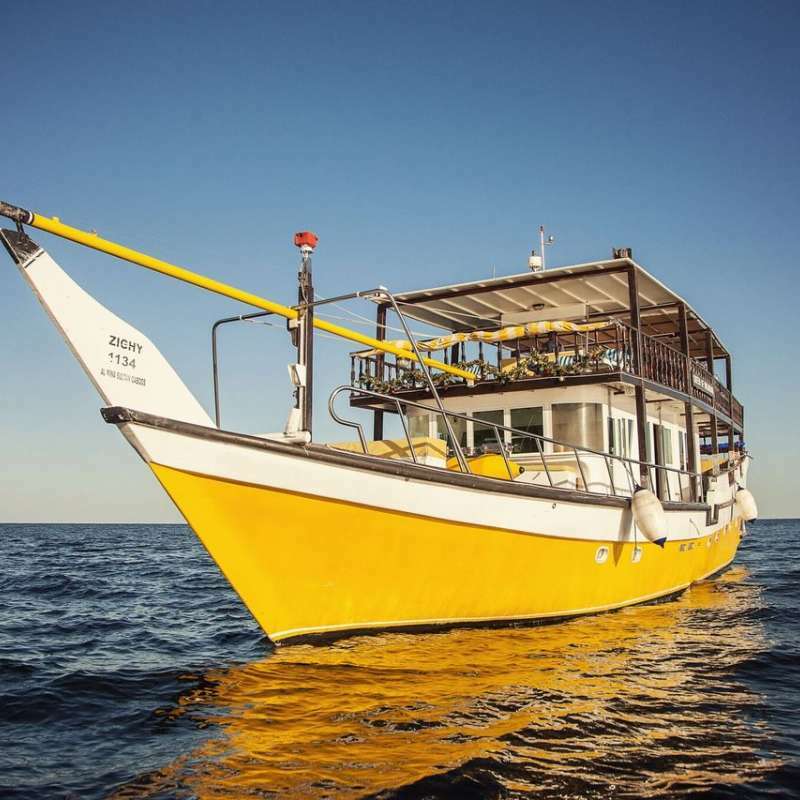 It offers a variety of different dive sites, from shallow coral reefs and swim-throughs to drop offs 30m. Spectacular soft and hard corals, giant honeycomb moray eels entangled through the reef, lobsters lurking from beneath rocks, large sting rays laying covered in the sand, turtles and nudibranchs resting among the reef, schools of fish in their thousands prowl around. Diving is all year around here. This small limestone island offers excellent diving with swim-throughs and reefs down to 40 metres. It's also known by another name – Shark Island – due to frequent sightings of sharks on the adjacent sand banks. Diving is all year around here. 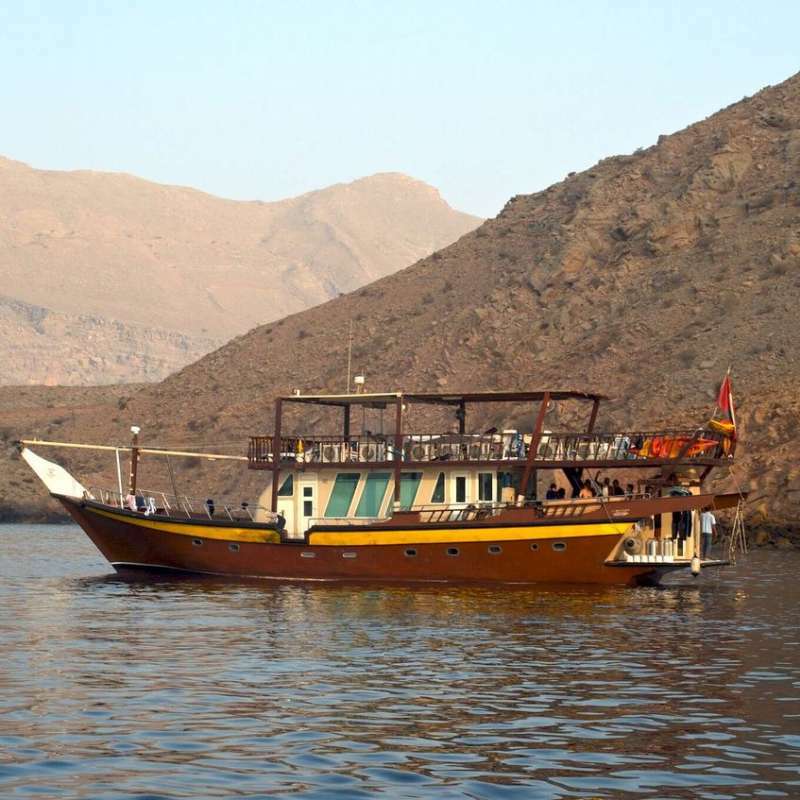 The waters surrounding Musandam and the Straits of Hormuz provide awesome coral reef diving with more than 30 dive sites. Plankton rich waters attract over 900 species of fish, ranging from cleaner wrasse through to whale sharks. The combination of plankton and strong local currents attract a great range of pelagic species, manta, eagle rays, dolphins, along with whale sharks, Mola Mola, sharks and as well as most species of turtle can be encountered. The caves here looks like the ocean has eroded a series of chambers and tunnels into the surrounding limestone rock, which provide hiding spots for spiny lobster, cleaner shrimp and other creatures. The sandy bottom of the caves is the perfect daytime resting place for rays and sharks. Diving is possible all year around, with the best time for diving in this area is Sep to May. Located off the south eastern coast of Oman, the islands are the paradise of untouched dive sites and home to pristine corals, wrecks and whales. New dive sites and wrecks can be discovered all the time. Diving highlights are undoubtedly the opportunity to see the resident population of humpback whales but also includes encounters with manta rays and sperm whales. Huge schools of dolphin are often seen as well as green turtles. Giant oceanic manta rays, giant groupers, giant catfish and mobulas are common encountered. The islands boast a healthy marine life with awesome coral garden and you will see fish in their thousands.Hallaniyat Islands are an undiscovered diving region where you can expect everything! Diving here is seasonal from October to May, with the best time between January to March for humpback whales and sperm whales. Oman Aggressor представляет флот Aggressor в Аравийском море, где с ноября 2017 года предлагает дайв-сафари у побережья Омана длительностью 7 или 10 ночей. Размещает до 22 человек в 11 комфортных каютах. 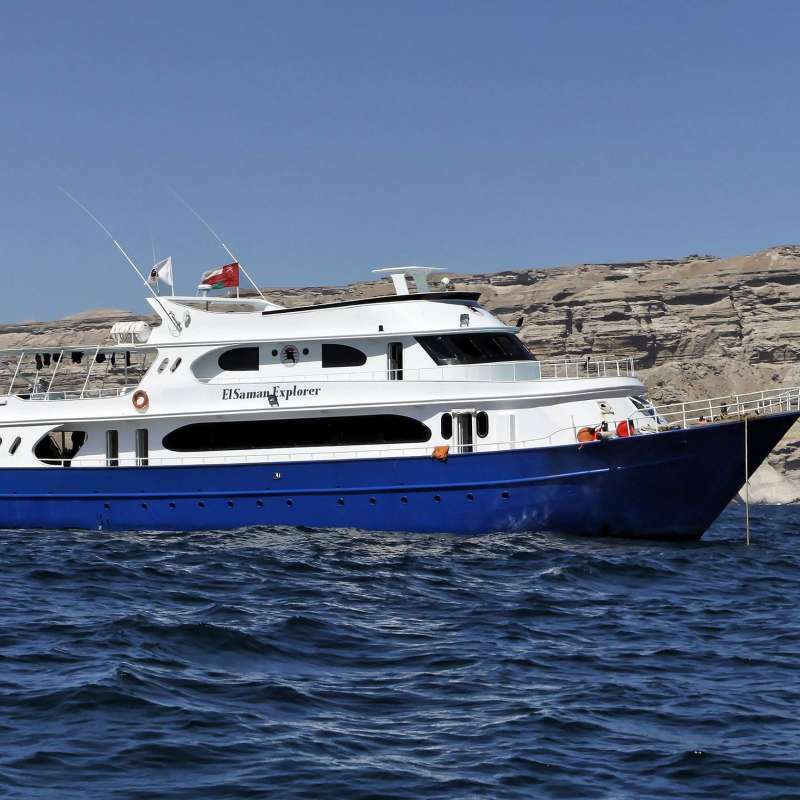 Queen of Musandam is a traditional Arabic style vessel, it offers dive liveaboard trips around the Musandam Peninsula, it can welcome 12 guests per trip. 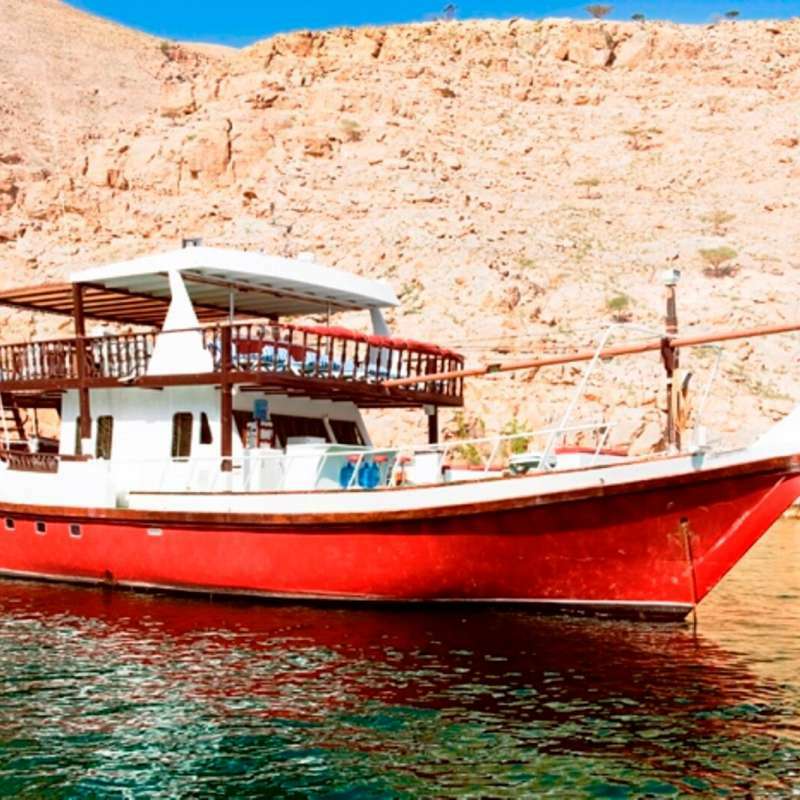 RED Dhow is a traditional Arabic style vessel, it offers dive liveaboard trips around the Musandam Peninsula, it can welcome 14 - 15 guests per trip.